As more people opt out of hosting open house functions, those that do have only one chance to get it right. Open houses have a reputation for being outdated and usually have a hard time translating to sales, but they are still a great way for a large number of people to experience a property, inside and out. Ottawa Move has come up with a few tips designed to make your open house a success. Of course, we don’t guarantee that you will sell your home, but hopefully these pointers will help you achieve that. Prospective buyers are usually uncomfortable in an open house when the seller is present. It makes it difficult for them to be upfront, honest and candid with the realtor if they know the home owner is on the premises. It is also stressful for you, the seller, to be at your own open house. It is difficult to separate your attachment from the home and respond to questions in an unbiased manner. Take the day off or use it as opportunity to run errands or see some friends. Although it may seem obvious to you, many people don’t know where your home is. Providing clear signage at the proper places will help direct those that are unfamiliar with your neighborhood. You don’t want to lose a potential buyer because they got fed up with trying to find your place. If you have more than one entrance, mark those areas too. Unfortunately, letting strangers in your home can sometimes lead to theft. As many home owners can attest to, open houses have led to valuable items being stolen. Keep a closet in the house “off limits” and make sure it is a place that can be secured and locked. Put all jewelry, wallets, cash, electronics, prescription medication, and any other valuable items in a safe or in a locked closet. We all love our pets, but a prospective buyer could be turned off by knowing that the house or condo you are selling is pet friendly. Additionally, sometimes dogs and cats get hyperactive when a lot of people are around, and you want to minimize that distraction. Get a pet sitter, take the animals with you when you leave the house, or take them to the groomer. 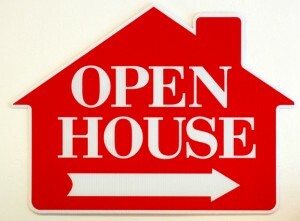 If you have any other questions about how to pull off a successful open house, contact Chris Coveny at OttawaMove.com. If you are interested in finding out how much your home is worth, check out the PriceMyOttawaHome page for a private email valuation.